Every year we look for different ways to enjoy the holidays and come up with new activities to keep our seniors engaged. One of the ways that we can be certain to have a sure-fire good time for all is to include children or young people in whatever we have planned. The inter-generational activities prove to be a good time for all. Last week one of my sister facilities shared some photos of coloring Easter eggs using shaving cream. Such a fabulous fun! Something, where everyone can get their hands a little dirty and be creative at the same time, is a great idea for all ages. We are planning is to invite some local children who are out on Spring Break this week and do Shaving Cream Marbled Easter Eggs. Want to make some of your own? Here is what you need and what to do. 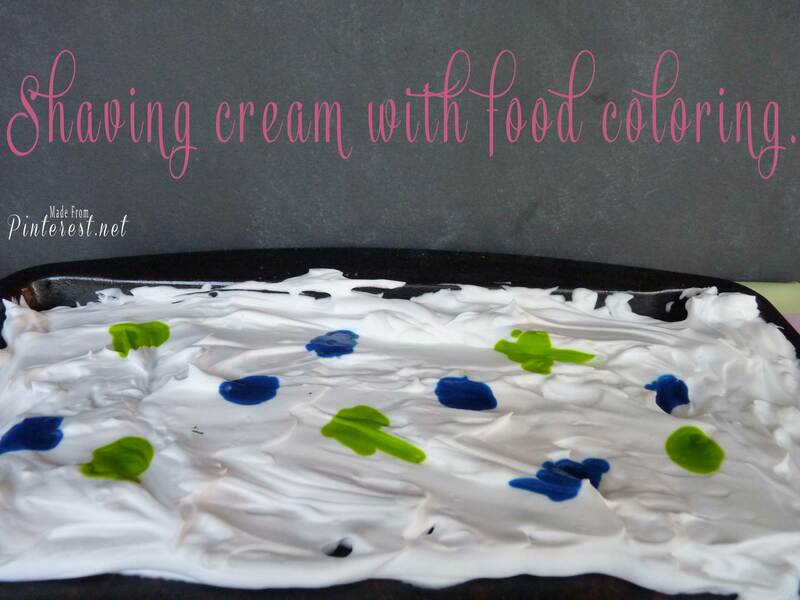 Swirl your shaving cream and food coloring. Don’t over swirl or the colors will mix too much and will not be as bright. Allow eggs to dry overnight. Shaving cream will partially dry, leaving a nice mess that needs to be cleaned up. Using a paper towel rub off the dried shaving cream from each egg. Show your beautiful eggs off! I admit it. I don’t get enough sleep. Sadly, most people do not. Sleep is as necessary to our bodies as food and water. With new devices and monitors that track sleep patterns you can even determine the amount of time you are in deep sleep. But just keeping tabs on your sleep may not be enough to get you on track for catching up your shut eye deficiency. Not getting adequate rest can be very serious. It can be especially serious for seniors who are already a risk for falls and balance issues. Lack of sleep just increases the opportunity for accidents. So, what can you do to get a good night’s sleep? Stick to a regular bedtime. Go to sleep and get up at the same time each day, even on weekends. Your body will get used to the routine. Avoid afternoon naps. If you sleep during the day, you’re more likely to stay awake at night. Drink less fluids at night. Trips to the bathroom break up your sleep. There are many suggestions and “schools of thought” as to how much sleep is needed. Most experts still agree that somewhere between 7-8 hours a night is recommended. But don’t forget to factor in those NAPS!! Now while a nap sounds heavenly to me. It can create confusion or longer stretches of night time rest. I had a resident tell me that he just couldn’t sleep like he used to do. Upon further discussion, I realized that he had not accounted for his hour and a half morning nap and two hour after lunch nap. He hadn’t added these napping hours to his sleep bank! It made more sense that with getting shut eye during the day and his decreased physical activity during the day as to why he wasn’t sleeping for long stretches in the evenings like he had previously. But by simply getting more exercise and changing his nap schedule his resting at night was improved. If you are having trouble sleeping, be sure to talk to your doctor. March is National Sleep Awareness Month and a good time to evaluate your sleep and its relationship to your overall health. During this month of love, I thought it a perfect time to discuss the most loved things about assisted living. It has been interesting over the years for me to get the perspective not just from the families, but from the residents themselves on what was their favorite. So here is the TOP THREE FAVES of Assisted Living Communities. There is something to be said for having someone there to look out for you, day or night. It is also very reassuring to know that communities have emergency response systems. Another very beneficial help is transportation assistance. Some of our residents find that driving later in life becomes stressful. Having someone to take them safely to appointments is a huge help and comfort to them and their families. Not only do you have someone there to cook three home-cooked meals a day, plus snacks….but eating with other members of the community makes the dining process so much more enjoyable.. Seeing new friendships form as residents fellowship around the table is a very gratifying part of my job. I don’t think I have EVER had one single resident that was sad to hand over the cooking, cleaning or the laundry. It is a huge perk of moving into an assisted living! I laughed when my husband came to my community the first week I started.. His exact words were, “they do your laundry, cook your food and clean your room? I don’t get that at home!!”. He’s a real comedian. With so many things to love, it may be time to look into assisted living for your loved one. These are just three of many reasons that our communities are loved by our residents. Schedule a tour today and check out first hand what may be a perfect fit for you and yours. While many have sworn off New Year’s Resolutions, it may not be a bad idea to consider what areas may need improvement in our lives. And improvements apply to all ages! However, it is important to be realistic in tackling our individual concerns. I can’t help but think of some of those home improvement shows. A couple looks at tackling this punch list of things that must be fixed…but when the budget or other “things” complicate the completion…they must settle on what can be accomplished. So, as you consider your own self renovation project, give yourself a break. Be realistic and optimistic. Here are 3 things to consider if you have made a list…or even if you feel like you have jumped ship from the resolutions you started on earlier this week. Nothing says that just because you may have already stopped what you started on January 1st that you can’t achieve your goal. Michael Jordan once said, “I can accept failure, everyone fails at something. But I can’t accept not trying.” Like the rest of us, Michael Jordan has had his share of failures and mistakes but one way NOT to accomplish a projected goal is to quit or not even make the effort. Take time out and focus on being realistic with your expectations. No two people are completely alike. Even twins have their differences. Don’t look at a situation and expect your result to be like someone else’s. Your goal should be just that…YOURS. Your road to results, may have guidance and perhaps similarity to someone else’s situation, but you want to look at it with realistic eyes. I remember two ladies discussing their aches and pains one day. One lady was barely seventy and the other in her nineties. The seventy-year-old said that knee replacement changed her life! The next thing I knew I had a ninety-year-old lady calling her daughter wanting to get her knees done! Set goals that are attainable and healthy. Take small steps to set yourself up for success. One of my favorite phrases that I hear people say is “Treat Yourself!” I think this especially applies if you are working towards a goal. Now while this may not mean go and pig out and derail a healthy eating plan once you complete one successful week. It DOES mean to be sure and give yourself a pat on the back for small steps along the way towards your goal. Develop a reward system that works for you. In researching and thinking about the blog this week, I looked back at some of the best advice some of our seniors had to give this past year. I will close with these thoughts and want to wish you all the best in 2018! Keep your mind open and don’t stress if you have to start at the bottom to work your way up. You can do it! Learn the value of hard work. Knowledge is power. Continue your education because that is something that no one can take away from you. Wake up each day with an open mind and a full heart. Everyone will not always have the same values as you. Stay rooted to what you know while still showing kindness. HAPPY NEW YEAR FROM GREAT OAKS MANAGEMENT!! There are many things the “experts” tell us to do to get to and stay at a healthy weight and prevent type 2 diabetes: Choose healthy foods, make healthy meals, be active 30 minutes a day. But where should you start? It’s can be overwhelming. And it can be even harder if you have a lot of changes you want to make. It’s easier to make lifestyle changes one step at a time. Think of each small step as one piece of your effort to change your habits. Making changes one step at a time gives you the best chance to reach and stay at a healthy weight and prevent type 2 diabetes. The good news is that making just a few small changes can make a big impact on your weight and health. Learn how to make these changes step-by-step. Weight: Staying at a healthy weight can help you prevent and manage problems like prediabetes, type 2 diabetes, as well as heart disease, high blood pressure, and unhealthy cholesterol. Diet: Always ask your healthcare provider about healthy eating plans and what you can and can’t have in your diet. Each person is different and industry standards have changed. You may want to check with your health care provider or dentist if you find chewing difficult, don’t want to eat, or have trouble with your dentures. You feel that life events such as the death of a loved one or moving from your home are keeping you from eating well. You think your medicines may be making your food taste bad or affecting your appetite. You think you should take a daily vitamin like iron or vitamin C.
Exercise: Physical activity can do a lot for your health, even if you haven’t been very active lately. Take a walk, do chair aerobics, just get up and move if you can! As with all health changes, discuss your exercise plan with your primary care physician. It’s been about four years since I had my shoulder surgery. It was by far not my first surgery, but it was the first procedure that I recall having intensive physical therapy. Now granted, I’m in my 40s, but I truly believe that the success that I experienced with my shoulder recovery was due largely in part to my “buy in” to doing physical therapy. October is National Physical Therapy Month. Physical therapy for the elderly can be such an important part of the healing process as well as a factor in continued health. Physical therapy has an important role in healthcare delivery and relates to maximizing function, preventing decline, decreasing pain, and treating physical illnesses. For elderly individuals, who often have decreased physical reserve, any medical illness or injury can lead to decline. Inactivity and bedrest, a common consequence of illness or injury, contributes to and intensifies muscle weakness, causing deterioration in walking and loss of function. Illnesses, such as Parkinson’s disease, fracture, or stroke, can affect walking and balance directly. Chronic diseases, such as arthritis, may cause pain or restriction of movement. Exercise, activity, and other physical therapy interventions can, therefore, have a profound effect on overall health, restoring an individual’s ability to perform the daily activities required to live independently in the community. The physical therapist typically works closely with other healthcare professionals, such as nurses, physicians, social workers, and occupational therapists, to refine both diagnosis and treatment. This interdisciplinary approach allows for the integration of all domains of health to more fully address the needs of the elderly. If you or someone you know can benefit from physical therapy for strength and healing contact your primary care physician to see what options may be best for you.